Since 2009 EAMT has been a member of the Graduate School of Culture Studies and Arts (GSCSA), a joint venture involving four universities (University of Tartu, Tallinn University, Estonian Academy of Music and Theatre and Estonian Academy of Arts) and has coordinated its activities through 2009–2016. From 2016, the Graduate School of Culture Studies and Arts will be coordinated by Tallinn University under the leadership of Professor Marek Tamm. The GSCSA was established to advance the academic level of PhD programmes in studies of culture and the arts in Estonia, and to integrate institutionally and administratively separated researchers of culture. Between 2016 and 2022 the graduate schools will follow the Institutional Development Programme for Research and Development and Higher Education Institutions (ASTRA). 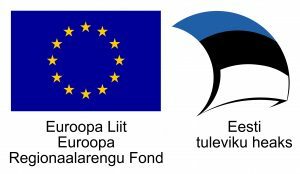 At the Estonian Academy of Music and Theatre, the graduate school is financed by the ASTRA project EMTASTRA (2014-2020.4.01.16-0043), which is supported by the (European Union) European Regional Development Fund. The financing period of the graduate school is: 01/01/2016–31/08/2022. On May 2–3, 2019 an international conference "Urban and Court Culture in the Early Modern Baltic Sea Region" / "Stadt- und Hofkultur im Ostseeraum in der Frühen Neuzeit" takes place. Additional information. On February 18–19, 2019 a seminar on on autoethnography takes place, the lecutrer is DocMus Päivi Järviö from Sibelius Academy. On November 9, 2018 a lecture-performance "Sisenemine sisenemisse" and a round-table took place (in Estonian). An international conference "Ettekääne. Ruum. Performatiivsest ruumist etenduskunstides" took place on May 4-5, 2018 in collaboration with the Drama School. Additional information (in Estonian). On April 16-20, 2018 Zenaida des Aubris conducted a seminar series "How to kickstart your professional career". A seminar on artistic research for the doctoral students of artistic branch took place on April 15, 2018 (in collaboration with the Estonian Academy of Arts). October 2017 – May 2018 a lecture series "SPACE" ("Ruum") took place in the Drama School. A seminar on artistic research for the doctoral students of artistic branch took place on November 18, 2017 (in collaboration with the Estonian Academy of Arts). An academic seminar "Kuidas meist said protestandid: reformatsioonikultuuri levik Eestis“ took place on October 19-20, 2017. Additional information (in Estonian). An academic seminar "Gender and Sexualities in (post)Soviet/ (post)Socialist Music, Theater and Visual Arts" took place on April 19-20, 2017. Additional information. A seminar on artistic research and its supervision led by Peter Dejans, director of Orpheus Institute (Ghent), took place on March 13, 2017, at 16.15. All the Supervisors of doctoral theses were welcome to the seminar. On March, 14, at 10-12, in room C209 Peter Dejans consulted doctoral student of artistic branch. He also took part in discussions at the conference of doctoral students the same day, that started at 14 in the organ hall A404. The GSCSA conference "Multimedia Composition: Fine Arts and New Technologies" took place on October, 19-20, 2016. The conference was organised in conjunction with the 15th International New Music Festival AFEKT (www.festivalafekt.ee).